RIM is no longer. The company is now called BlackBerry which is what everyone knew them as anyway. The phones look great. They seem to have the core features down and notifications look great. Swipe from the left to right and you get into the BlackBerry Hub and can actually react to the content in there. You can accept meeting requests, reply to emails, tweets, Facebook requests, you can do it all from the Hub. This is something that neither iOS or Android can do. I'm still questioning when Thorston Hines is going to get into apps. Apps is what runs the mobile market right now. It's the main reason why iOS is still #1 and why Windows Phone is still lagging behind. I need these guys to get past core, email, calendar, Facebook, Twitter, camera apps. I really need apps. Even if its not something really current like Vine, I would still like to see Instagram or something that's been "hot" in the last 6 months or so. I'm not impressed by BBM video or screen share. If it's proprietary which I'm sure it is, no one will use it. People don't care about apps you can only use with 1 or 2 other people you know who still use a BlackBerry because its cheap or because their work makes them carry one. Show me a video app that uses Skype, Google Talk or some cross platform app like Whatsapp. Ok, so they announce that Skype and Whatsapp are going to be on BB10. That's good to hear. But if they don't integrate BlackBerry Messenger (BBM) with those popular social and cross platform apps, it doesn't mean anything. If I can't Skype with a contact through BBM, it's a waste. Why run two apps when they can be integrated into one? Even if BBM video doesn't work directly with Skype, at least allow me to click on a person's name and launch Skype from within the BBM app. Please don't make me leave BBM then launch Skype just to talk to a contact. I'm waiting to hear them announce Netflix, Hulu, Spotify, Pandora, Slacker, Amazon MP3 and Prime Video. These are the streaming media apps they need. If they plan on making an impact here in Asia, they will also need Kakao Talk, quick, fast and in a hurry. Without Kakao, they will die here in Korea and most of Asia. I also haven't heard them say anything about Google. Google and Facebook run the internet in case you haven't noticed. I haven't heard them mention navigation. Without Google Maps or Navigation they might be dead in the water for that market. Just look at Apple and all the drama they've had with their bad iOS Maps. They should have mentioned getting to Google navigation strait from a contact or even a BBM contact or conversation. So it will be available in Canada in early February and in the US in March. Not bad but I'm sure people wanted to hear that it would be available globally in a week or so. Now they have Alicia Keys as a global spokesperson. Not a bad choice because it's a top 5 person in the Media/Social world right now. They better put Alicia Keys into every single commercial they make. Alicia Keys can help this brand a lot. But if they don't capitalize on her fame, it will be yet another fail. Oh and Alicia came out with some weird hairdo that looks like she's rocking a 80's box. Not a good look ma. And Alicia, stop reading strait from the cue cards please. Well the announcement is over. My thoughts are that I am 75% impressed and intrigued. Do I think BlackBerry has a chance? Yes. They have about the same chance that Windows did when they released Win7. Windows still haven't proven they are in it for the long haul with Windows 8 but they are hanging in there as a viable 3rd contender. BlackBerry will play hell trying to get back the millions of users they lost because they refused to change while riding their high back in the 2007-2008 time frame. I can say that BlackBerry 10 phones look great and have a lot of core apps that will keep them relevant for a while. But the key to their success will be getting the new "hot" apps to develop for BB10 soon after releasing iOS and Android apps. Getting apps like Instagram 9 months after iOS and Android get it will not get the job done. 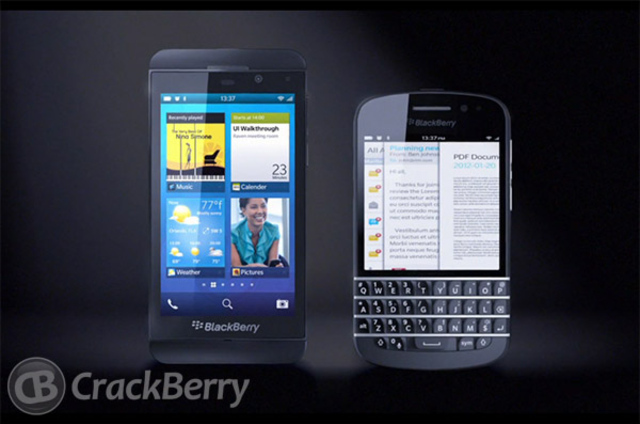 Honestly I don't see how BlackBerry will be able to attract these developers. Android already has problems getting apps 30-60 days after iOS users do but they can still manage because their user base is so big. Blackberry will not have a chance when consumers enter retail stores and already have their sights set on the latest iPhone or Galaxy device and the sales person tells them that most popular apps aren't available on BB10 and how they can wait a few months and see. BlackBerry will have to bring buckets of cash to the table to entice develops to bring BB10 apps to the table shortly after they release iOS and Android counterparts. Endstate: I give RIM BlackBerry about a 60% chance of success. And by success, I mean getting 5% of the consumer market. Alicia Keys and buzz around new, cool looking devices will get them most of the way there. But without app support, it will be one of those "Good but not good enough" type of scenarios.